We are Under Way Now! Last night our home study social worker came for her visit. It's nice to have that out of the way. We have just about all of the paperwork done and turned in for our home study now. We're just waiting for a few things to come back, which we expect to come next week. Our social worker thinks she'll have our home study done and ready soon! We are excited to have that done and to move on to getting fingerprinted for immigration (my mind is baffled at why you need to do that for every adoption when your fingerprints are taken on a computerized system) and to completing all of our documents for our dossier that will go to China! We're taking steps forward and that is exciting! The paperwork for adoption feels like it is never ending and stresses me out every single time. But this face makes it so worth it! Tis the Season for Shopping! Well...it's that time of year for sure. Halloween has past and Thanksgiving is just around the corner. Christmas will be here before you know it! 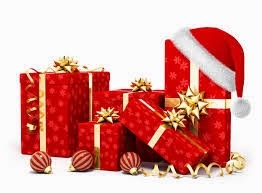 It's time to start Christmas shopping, if you haven't already. I've got a couple ways you can shop for some special people in your life and help us bring our daughter home at the SAME time! Sounds interesting, right? We have some pretty amazing friends and one of our friends sells Premier Design Jewelry. She has offered to give ALL of her commission- 45% to us for our adoption! That's incredible! 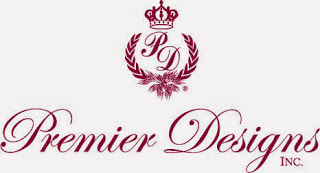 Premier Designs is a Christian-based company and they believe in personal connections. In the past, they did not have an online catalog, but they do now! However, you cannot order online. For local friends, this is not a problem. You can even look at a catalog if you'd like- I have a few! For friends who are not local, you can look on the website and email me or pm me your order and I can get a total for you. You can pay by credit card, cash, or check. Orders need to be in by Sunday, November 23rd! And there is a November Special! The November Special is: spend $75 and get ANY item (retail $50 or less) for just $10! Does anyone on your list like jewelry? This is a great opportunity to get someone checked off your list! Thank you for taking the time to look and/or share! The second option is for those of you who shop on AMAZON! Amazon has an incredible program. There is a box on the right side of this blog that says Amazon.com Purchases. If you start your search through the box on our blog, we will get a small percent of your purchase to put towards our adoption expenses! Amazon.com is a fabulous place to buy your books (real or for your Kindle), birthday and Christmas gifts, school supplies, baby supplies or gear, and so much more! It truly is as easy as that. You just type something into that box over there...anything at all, even if it is not what you end up ordering and once you check-out, Amazon will donate a small percentage of your purchase to our family! So thankful to Amazon and to all our friends who have used this box during our past two adoptions. Every penny helps! In the last post, I mentioned that our daughter to be was in foster care. In her file, it mentioned that she had a foster brother. I knew that is had to be a little boy that either was placed by Madison or who was waiting to be placed. I got in contact with a few adoptive families who were in the process of bringing home children from this orphanage and sent out an email to Madison's amazing guide. I got the boy's Chinese name and confirmed that not only was his family one of the ones I had been talking to (who will be traveling very soon by the way), but he was a child I had advocated for! I am so excited to have made this connection. We live hours apart, but definitely close enough to visit at some point. I am so excited that we will be able to keep these two in contact since they have been growing up together in the same foster family. I wish I had a picture of them together, but for now I'll just share their individual pictures. This is Finn, our daughter's current foster brother! The first picture of him was one I used to advocate for him. The second one is a more recent picture of him. 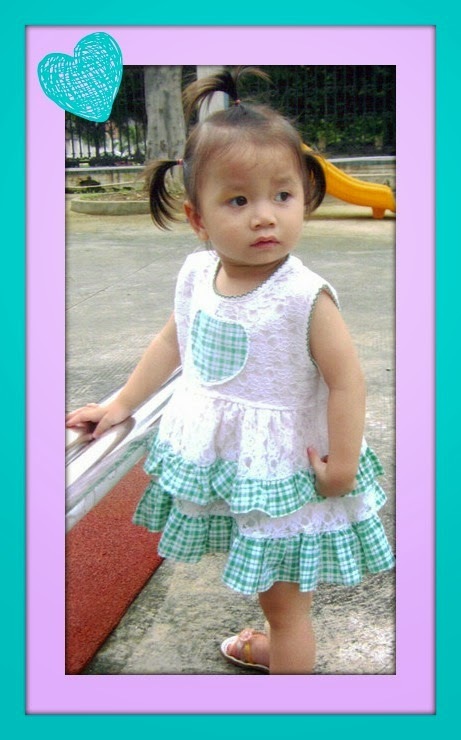 The third picture is our daughter, whose name we are still trying to decide upon. Please pray for safe travels for Finn's family, as they will be leaving in the next few weeks to get him. 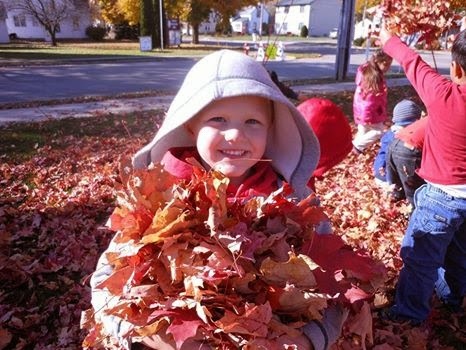 Pray for his heart as he leaves his foster parents and foster sister and everything he knows. 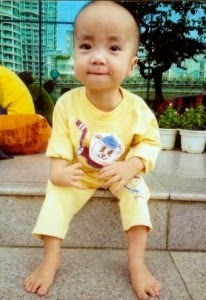 Pray for him to transition well and bond quickly to his new family...his forever family! Please pray for his foster parents as they have to say goodbye to him and pray for our daughter's heart as well. YAY for one less orphan in the world very very soon and praise God for the internet so families like Finn's and ours can get in touch with each other and keep the children in contact. November is Adoption Awareness Month and Today is Orphan Sunday! Watching Lena grow and transform over the last 2 years has been truly amazing. I feel so blessed to be able to witness it, but even more so to be her mother. What a gift God has given us. Lena came to us with no language. She pointed and made noises to get her needs met. This was Lena before we got her. She slept in one of these cribs with metal bars. She was loved by her nanny, for which we are very thankful. But she lived in an orphanage and not in a home with a family. Visiting her orphanage changed me. The things I saw, the smells I smelled...they will always be with me. 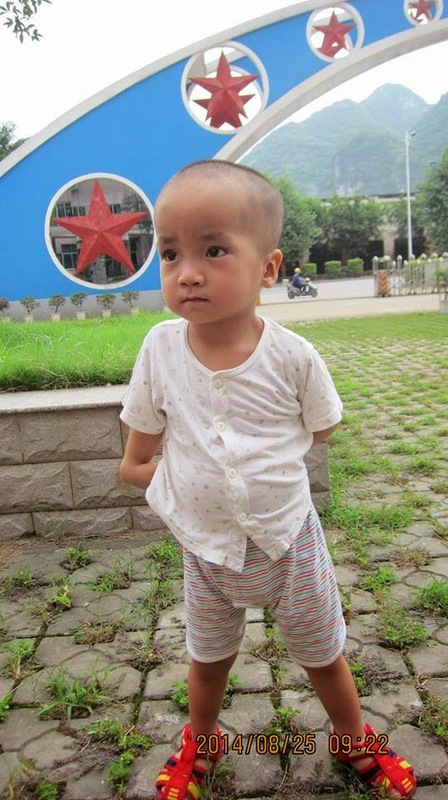 No child should have to grow up in an orphanage. Every child deserves a family. Below is Lena on her gotcha day. She truly is a very different child. She's amazing. She is so smart and she's learned so much. She is signing pretty well and is a confident little girl. She exudes joy and everyone she meets just loves her. She's a ray of sunshine! She's a great big sister too. She loves her baby brother and is a little mama. This Bible verse has become my favorite ever since visiting Lena's orphanage. I am forever changed. I have seen things not everyone has seen. I know things that not everyone else knows. God knows that I know and He holds me responsible to act...to do something...to make a difference. God created YOU, he created ME. He created US to do something. "If not us, then who? If not me and you? Right now! It's time for us to do something! If not now, then when? Will we see an end to all this pain? It's not enough for us to do nothing. It's time for us to do something!" 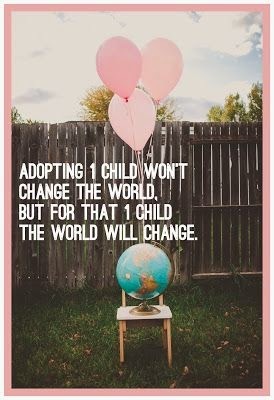 Adoption advocacy has been my passion for a number of years now. I know I am doing something every single day. But I also know that I have a lot of love to give. November is Adoption Awareness Month and today is Orphan Sunday. I love this day! I love sharing about adoption and waiting children anywhere I can and every chance I get. But today, I want to share some other exciting news. A few weeks ago on a Monday, I got a call from our adoption agency. 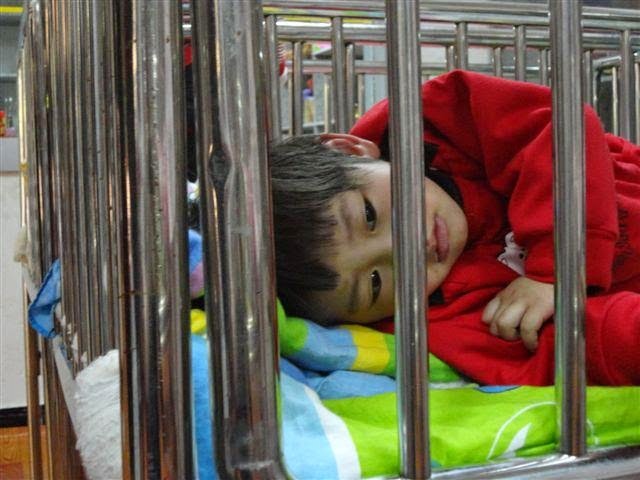 They have a lot of orphanages in China that they partner with. 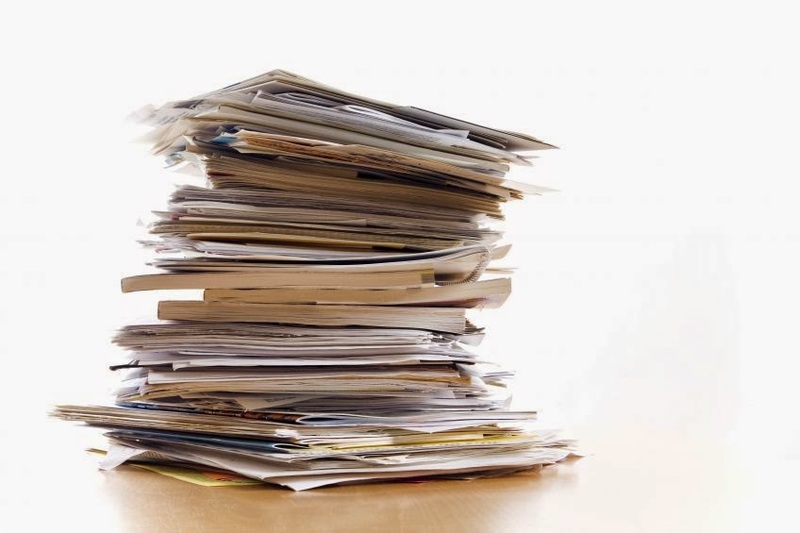 When the children's files are finally prepared, they end up listed with their agency. 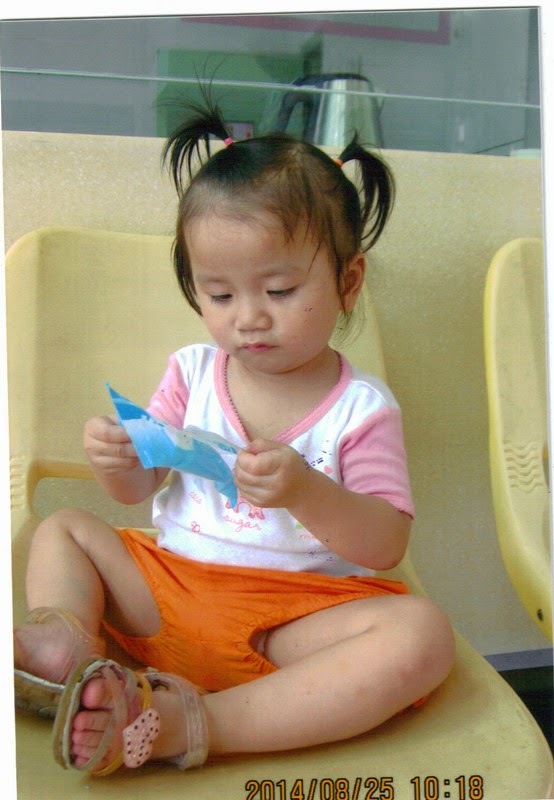 On this day, they happened to get two files from one of their partnership orphanages in Guangxi province. One was a little boy who has thalassemia, like our Reid. And the other was a little 2 year old girl who was deaf. Yep, you heard me right and probably know where this is going...a 2 year old girl who is deaf! 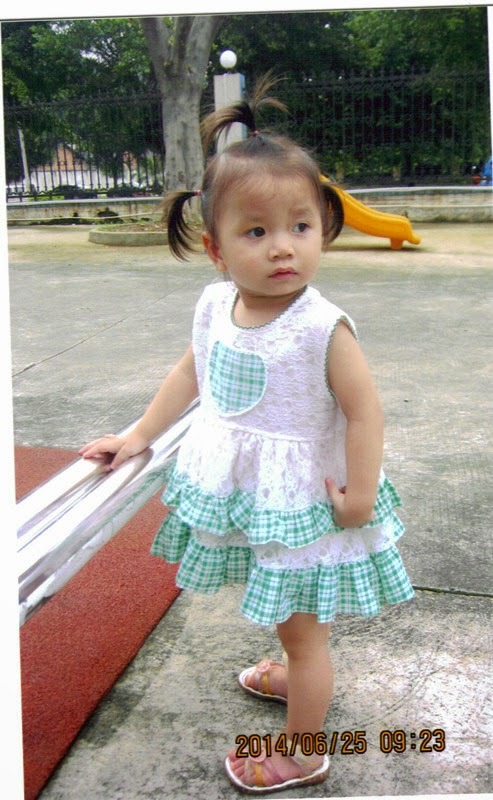 Lena is currently one of eight children in this family and she is the ONLY girl. That is just not right. ;) I had two brothers and later gained two step-brothers. I always wanted a sister. I can't imagine having 7 brothers! We've been talking to Lena about having a sister and she gets pretty excited at the thought. She gets even more excited at the idea of having a sister who is deaf like her. We always felt like she'd love a big sister, but we have a lot of kids in the 4-7 year age range and our Evan has told us he'd like to stay the oldest. Our 'big' gap is between Rowan (almost one) and Jayce (almost four). Our agency calling us with the referral for a sister for Lena who has the same need and who fit right in between our youngest two really couldn't have been more perfect. But you won't believe this...I hesitated. I was the one who had to do the praying and get past MY plans. Rick was the one saying, "Let's do this!" and "This is a perfect fit!" This was just like when Lena as found for us. Just like then, I thought I would be the one calling our agency and telling them who we wanted to submit a letter of intent to adopt. After all, I am an advocate and there are just some faces I can't help but fall in love with and kids who I make a connection with. This could not possibly be how it was going to work. God laughed at me- He said, "Oh yes it is! This is the plan I have for you. For I know the plans I have for you declares the Lord." But what about the paperwork? Who wants to go through all that again? No one. But, we do things like that for those we love and I'd do anything for another orphan to have a family. What about the money? Even Rick wasn't talking about that this time. I couldn't believe it! I was the one worrying about it. Why was I worrying? God has provided every time. He is faithful! I know He will do the same this time. He can move every mountain and when He shows up, He shows up big! So there I was. I sent this child's file off to be reviewed by a couple of specialists at our local Children's Hospital. I knew nothing the ENT would say would even bother me or make me think twice. Friday came along and I told our agency we'd let them know our answer by Monday morning. Monday morning I woke up and sent an email giving them the green light. 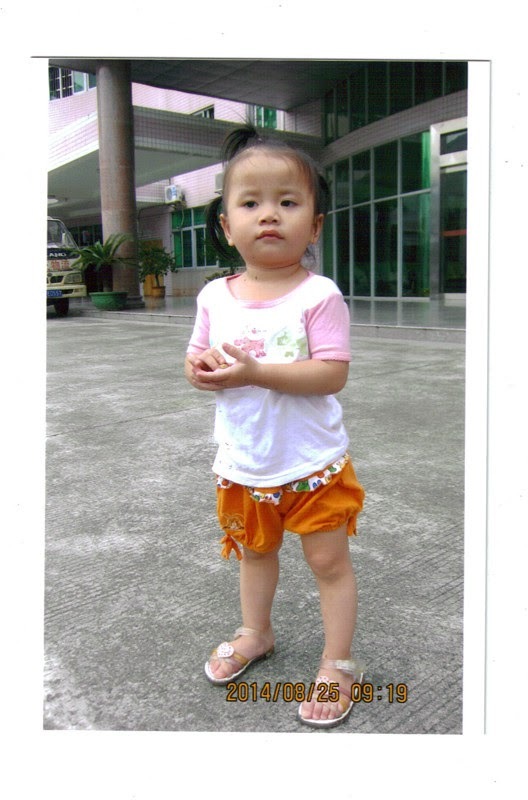 Tuesday they submitted our letter of intent to China and on Thursday we had received our pre-approval to adopt this beautiful little girl. Talk about fast! It took 3 weeks for them to say yes to us for Lena and 9 days for Reid. So without further ado, I'd like to introduce you to our new daughter to be! She is living in foster care. This will be our first child who lived in foster care. I've heard great things about the foster families for this orphanage. I do worry about taking her from the foster family. I know she will likely grieve hard. It would be hard to explain to a deaf child with no language what is going to happen to them and how it is going to improve their life for the better. We will of course send a photo album of our family and anything else we can to help ease the transition for her. 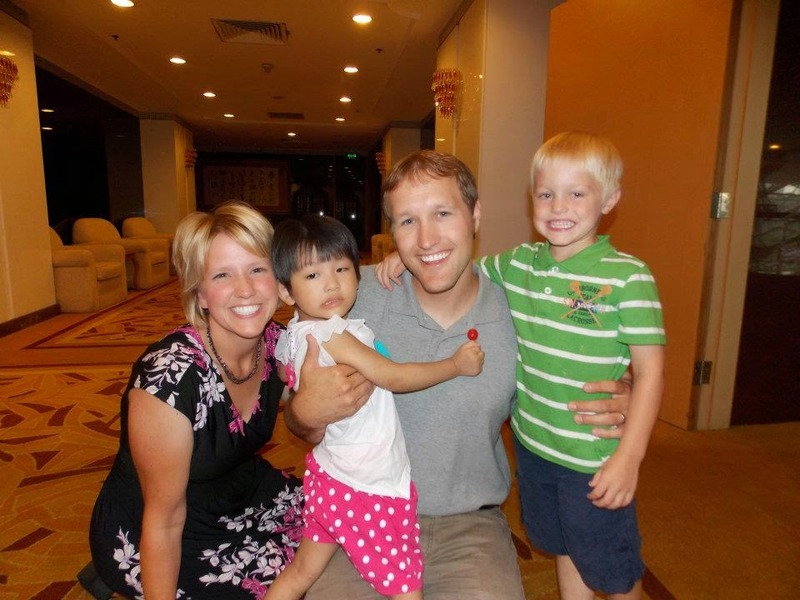 Bottom line- a foster family in China is not a forever family. In the long run, a foster family may help her with bonding and attachment because she knew what it was like to live in a family and hopefully she will have known what it was like to be loved. 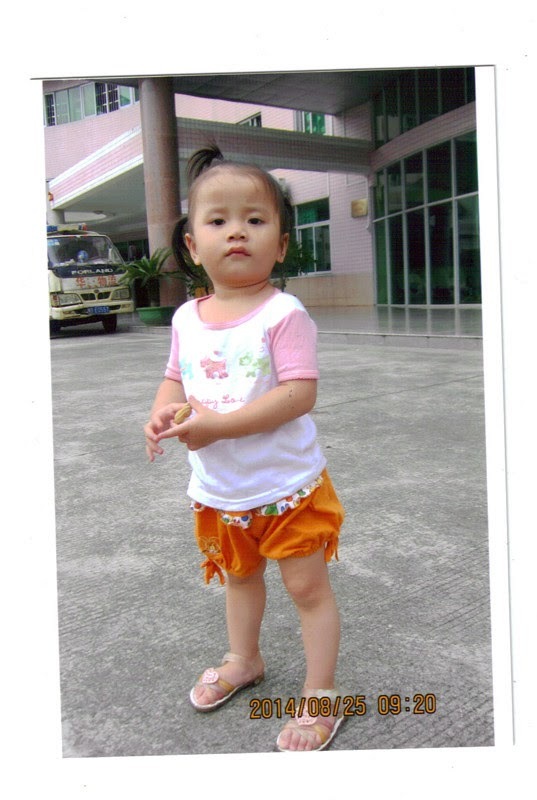 If you pray, we'd love prayers for her foster family as they care for her while we wait for her. We'd love prayers for their hearts on the day she'll leave them and for her heart as she has to leave them to come with us, complete strangers who don't look or smell familiar. We hope you will share in our excitement! We don't have a name picked out yet- that will be a later post. We have no idea when we will travel. Our guess is 10-12 months, give or take a bit. I am sure some of you are thinking we are crazy/nuts. We hear that we have our hands full all the time, but really they are not totally full. I love a t-shirt I recently got from another family's adoption fundraiser that says, "If you think my hands are full, you should see my heart!" 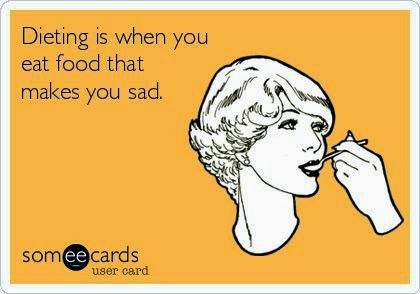 It's so true! I love our family and hope that this child will love it too! Our kids are very excited to have another sister and Lena...well this will be very special for her. I am so excited to watch their sister relationship unfold and that very special bond they will share grow and grow.